Any decision by the United Nations General Assembly to recognize a Palestinian State next September could signal the beginning of the end for the United Nations as a credible organization pledged to uphold the rule of international law in dealings with - and between - member states. Its current reputation for doing so is under real threat even now - as calls for it to withdraw further consideration of the flawed Goldstone Report are being made following Justice Goldstone’s recent admission that the Report wrongly alleged that Israel had deliberately targeted Gaza’s civilian population during its invasion of Gaza in December 2008. Goldstone’s Report had been tainted and compromised from the outset because all four Commissioners appointed by the UN Human Rights Council were biased - and in accordance with well established legal principles should have recused themselves from taking part in the Inquiry. Failing to initially reject any consideration of this biased Report has now landed the General Assembly in its present predicament. Continuing to consider the Goldstone Report will indicate the General Assembly is prepared to ignore the law where it conflicts with a particular political objective. This is a recipe for disaster and inevitably must lead to the total loss of any credibility. Should the United Nations actively attempt to do another “Goldstone” - by acting in defiance of a well established body of international law - then it could well end up imploding like its predecessor - the League of Nations. Israel’s President - Shimon Peres - warned this week that whilst Israel believes in a two-state solution - it must be negotiated between Israel and the Palestinians, not imposed by the international community. Vesting Arab sovereignty for the first time ever in recorded history in the whole or any part of the West Bank, East Jerusalem and Gaza - can realistically only happen in direct negotiations to which Israel is a party. Other alternatives to the creation of a new Arab State may have to be considered and negotiated if this currently preferred option cannot be realised. “International law is a primary concern of the United Nations. The mandate for the activities in this field emanates from the Charter of the United Nations which, in its Preamble, sets the goal “to establish conditions under which justice and respect for the obligations arising from treaties and other sources of international law can be maintained”. Any attempt to now deny the Jewish people these vested legal rights - without Israel’s agreement - will indeed be an exercise in futility. 4. capacity to enter into relations with the other states. 3. any ability by any Arab government in those areas to enter into relations with other states and honour commitments made with those states. As it did in 1947 - the General Assembly could examine the current situation and make its own recommendations to the parties. But these would be recommendations only - requiring the consent of both parties before they could be implemented. 3. Changed circumstances on the ground since such a State was first proposed by the Peel Commission in 1937 and by the United Nations in 1947 make the possibility of the creation of such a State now only possible to achieve in direct negotiations with Israel. 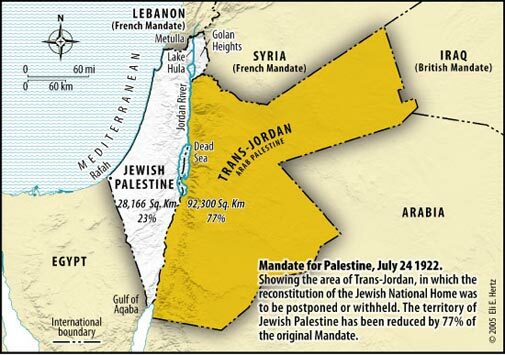 The opportunity that existed between 1948-1967 to unilaterally create such a State with the stroke of an Arab League pen - when all Jews living in the West Bank, East Jerusalem and Gaza had been expelled by seven invading Arab Armies - is no longer available. The reputation and integrity of the United Nations is at stake if efforts continue to procure the passage of a resolution to recognize a Palestinian State by the General Assembly in September. America has already issued a precautionary warning against such action. UN Secretary General Ban-Ki moon - and the General Assembly - would do well to heed this warning before embarking on this pointless journey to nowhere.